Weekend accommodations include; Campsite and Lodge camping. The camp is operational year round except for; Labor Day weekend, Thanksgiving weekend, Winter Holidays (December 24-January 1), Spring Holidays (Good Friday – Easter Sunday) and Memorial Day weekend. Weekend camping is not available from mid-June through August due to summer resident camp programs. Available Programs and Activities include; Climbing Tower, COPE Courses, Rifle / Shotgun Ranges, 18 Hole Disc Golf course, Fishing, Hiking, Water Sports, Canoeing, Sports Fields, Volley Ball, Horse Shoes, improvised games and outdoor activities. Some activities require advance reservations, additional fees, trained and/or certified adult supervision or may be subject to seasonal availability. A Camp Master is always available to help you plan a fun Scouting weekend. To check availability and/or make reservations for most camp facilities online click here. With questions or to reserve program facilities (shooting ranges, climbing tower, COPE course), contact Camping Registrar Carolyn Cruson at 203-951-0237 or e-mail carolyn.cruson@scouting.org. * There is a $3.00 per person additional charge for each person over the capacity of a lodge. Jerome Campsite & Zimmermann Lodge are now rented together. 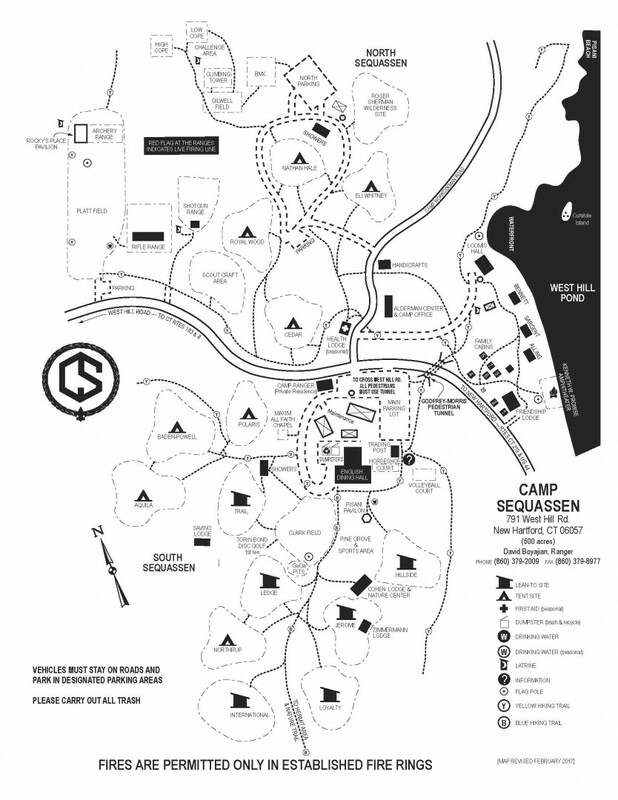 The proximity and need for sharing facilities necessitates offering Zimmermann Lodge and Jerome campsite as a package. The updated rate structure for the combined facilities for In-Council units is $135 plus $3 per head over the lodge capacity of 16.